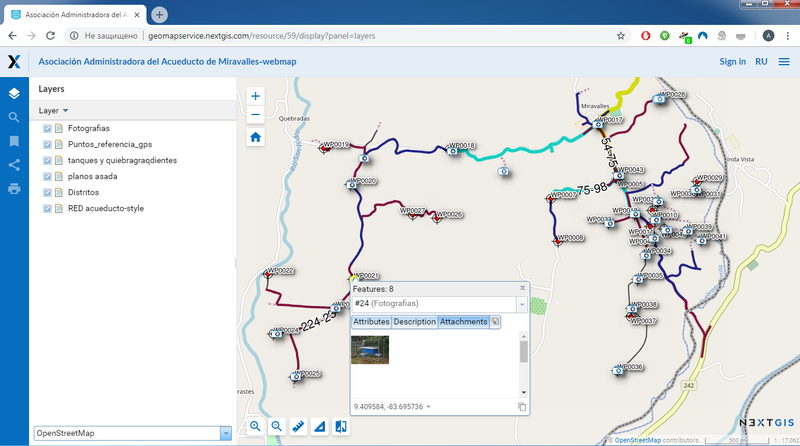 NextGIS Web is a server-side Web GIS and a framework for storage, visualization and permissions management for various kinds of geospatial data and services. Start working with it right now, no ‘leave a request and we’ll contact you‘ forms! NextGIS Web is integrated with mobile and desktop solutions. On-premise plan Cloud plans Try it! use uniform API to interact with external systems and build your own applications. NextGIS Web works in all current versions of popular web browsers. NextGIS Web also serves as a platform for our custom software development projects. Source code for the current version of NextGIS Web.